SafeStart addresses unintentional human error and critical safety habits, thereby reducing risk and the probability of injury. The most successful advanced safety awareness programme worldwide, SafeStart has been implemented in more than 60 countries and been found to reduce injuries by 30-70% within a short time frame. 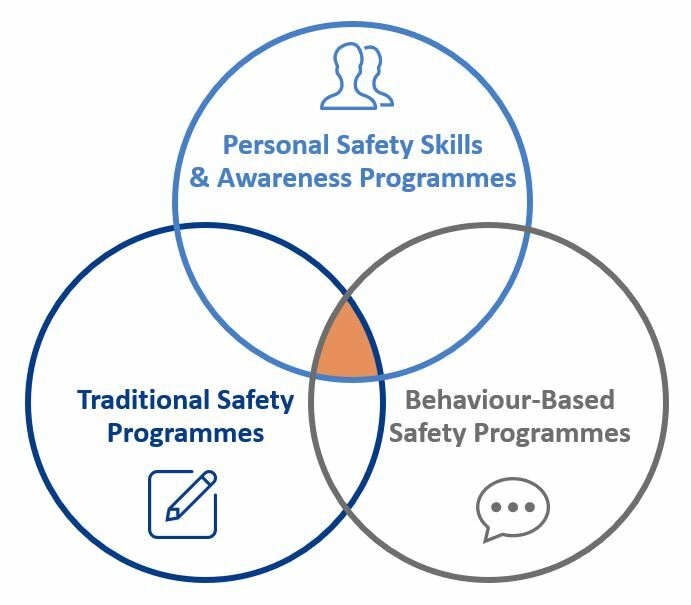 SafeStart does not seek to replace other safety programmes or processes used in the (over 3,000) companies that have embraced the programme; rather it has dramatically accelerated and enhanced ongoing efforts to reduce incidents in tandem with those approaches. Avoiding the unintentional mistakes that can produce injuries is about maintaining an alert attitude and ensuring that any hazards are kept both in sight and in mind, in real time, particularly when the risk is greatest. Unlike other approaches to safety, it is not about policy or procedures, or indeed specific hazards. Why is this? Well, knowing about a hazard is not much use to an individual distracted at the very moment attention needs to be paid. SafeStart develops an understanding of how an injury-causing error can come about as well as a practical approach that obviates such errors before they can cause harm. Guide clients on best practices, customisation opportunities, pitfalls and barriers to success. Our support is delivered to a pre-defined implementation plan, agreed in advance. We pride ourselves on the expertise and flexibility of a consulting team who will always look to meet your specific needs, such as integration with shift patterns, logistical constraints and local custom and practice. The SafeStart programme reduces the injury count at work, at home and on the road – going well beyond the direct benefits, both human and financial, that come with reduced injuries and incidents in the workplace. Its efficient nature yields a positive return on investment while also actively increasing safety awareness at the personal level, thus making it useful to all of us, no matter our role, culture or industry. Produce more while improving quality. The SafeStart programme is a sure way to reduce injuries in the workplace, on the road and at home. SafeStart’s safety vocabulary and accompanying skills rapidly impact and enhance our clients’ culture, shaping outcomes for the better. Having had their awareness raised, individuals are motivated to modify at-risk behaviours and habits. Increasingly, world-class safety performers are recognising the need for a 24/7 philosophy. Not only is genuine personal value for safety something you can’t just switch on and off as you come and go from work, but injuries away from work are far more frequent than those in the workplace, with the resulting impact on companies significant, but rarely addressed. SafeStart builds upon the natural human instinct to stay safe, providing techniques that reduce the possibility of mishaps and injuries around the clock, whether one is in the workplace, at home or out on the road. The result of this approach is the SafeStart Home programme: designed to help employees keep their families safe. The total effect is the creation of a more robust safety culture, improving the participation rate for training at work and triggering a revolution in attitudes towards safety. The human factor is inescapable but tangible improvements in it are rarely achieved, despite companies’ best efforts through traditional or psychological approaches. By contrast, SafeStart concepts, rooted in the realities of real life, empower individuals through the inculcation of techniques that not only help to avoid costly errors but also improve performance, whether in the workplace or in the worker’s personal life.